A liver function screen can help to catch the onset of liver disease, and can be helpful especially in their early stages of disease, when symptoms are milder and may otherwise go undetected. A liver function test is a blood test that looks at a number of clinical biochemistry parameters, including liver enzymes. This means that these tests can be the first step in diagnosis of conditions such as fatty liver. 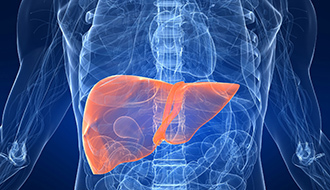 monitor the health of your liver whilst you are taking certain medication. If you have the test with one of our doctors, in the case of abnormal results, the doctor can help you interpret and advise you regarding the next appropriate steps. These may include repeat testing, further testing, or treatment. If you are concerned about liver disease, or would like to have your liver function tested, please give us a call and make an appointment to get tested. Please ensure that you arrive for your blood test well-hydrated. The liver function test is a simple, quick blood test. A needle is inserted into a vein, usually on the inner arm near the elbow, and a small amount of blood is drawn. You may feel a pricking or scratching sensation. If you have the test on its own, we will email you the results as soon they arrive from the laboratory. The test price doesn’t include interpretation of the results. We suggest that our patients have a consultation ahead of the test. 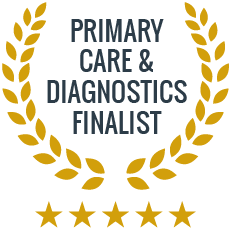 This provides an opportunity to discuss any concerns and symptoms with the doctor, get professional advice on the most suitable testing, and means you will get a follow up call from the doctor explaining all your results. What is the cause of liver disease? Liver disease can be caused by a number of different factors including excessive alcohol consumption, drug abuse, hereditary factors, hepatitis, and other viruses. What is the role of the liver in the body? The liver has a huge role in our overall health. It converts the food we eat into energy, and detoxifies the body of substances such as alcohol, medications, and environmental toxins. It also produces a number of enzymes and chemicals needed for the body’s major processes. Can a diseased liver be healed? Long-term damage to the liver, where it is not able to regenerate itself, can cause a scarring of the organ called cirrhosis. If liver disease is caught and treated before cirrhosis develops, the liver is actually the only organ in the body that can regenerate and heal itself. Thank you for booking an appointment. You will receive the confirmation email with details of your appointment shorlty. If you do not receive a prompt response, please call us.